The challenge of filling back-of-the house restaurant positions and keeping workers in them has become increasingly intense in today’s tight labor market, experts and operators say. More line cook, busser, dishwasher and prep chef positions — many taken by immigrants, both legal and undocumented — go unfilled as managers and owners wrestle with the labor market. And worker poaching has grown more common. The tight back-of-house market poses problems for operators, making planning for growth every bit as difficult as planning next week’s schedule, Denney said. “There’s a big aura of uncertainty around the attrition rate of your back-of-house employees,” he said. 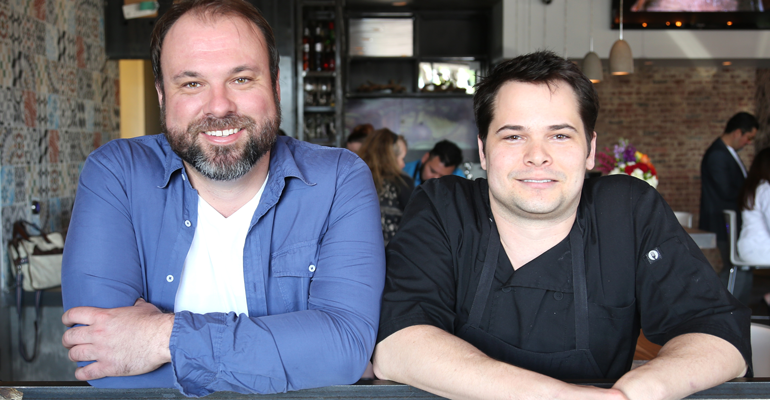 Operating partner Michael Martensen, left, and executive chef Nick Hurry of Q Tacos at Machos Cantina say dedicating time to training chefs has added pressure in today’s highly competitive labor market. Successfully meeting the hiring challenges for the kitchen has never been more crucial, said Michael Martensen, operating partner of the recently opened Q Tacos at Machos Cantina and co-owner of Proof + Pantry, both in Dallas. When positions go unfilled, it puts more stress on the chef. “The No. 1 thing chefs are is hard-working,” Martensen said. Martensen’s executive chef, Nick Hurry, said the back-of-the house hiring challenges have never been harder, not only in filling positions, but also developing and cross-training skills for employees without a lot of experience. “Once I train these guys, they spend about a year, and then their second job will offer them much more than I can to work double shifts. So they quit. It’s tough to train someone up and then have them bail,” Hurry said. Back-of-the-house employment statistics back up the growing number of anecdotes. “Getting enough candidates is worse at the back of the house,” said Victor Fernandez, TDn2K’s executive director of insights and knowledge. Fernandez said preliminary results from the People Report 2017 Recruiting and Turnover Survey found that, on average, restaurants get twice as many candidates per front-of-the-house open position than for the back of the house. And about two out of every three restaurants reported that the number of applicants they get per open position has not increased over the past year, Fernandez said. “On average it takes 40 percent longer to fill an open back-of-the-house position than a front-of-the-house one,” he said. Fernandez said more than 70 percent of companies in the survey said they had to provide additional incentives, such as sign-on bonuses or higher base pay to attract candidates. While Ghai called low unemployment “a good problem to have,” he said that the lack of available labor is forcing many operators to raise wages well beyond California’s high minimum wage. Law-abiding restaurant operators will do their legal duty and due diligence in vetting immigrants, getting the correct paperwork and running Social Security numbers through programs like E-Verify, Denney said. E-Verify is the Internet-based system that compares information from an employee’s Employment Eligibility Verification form I-9 to data from the U.S. Department of Homeland Security and Social Security Administration records to confirm employment eligibility. “Once people have been presented with documents that establish, at least on the surface, that an employee is legal, the inquiry will stop there until there’s some sort of red flag,” Denney said. Red flags include a worker who comes to the employer with new documentation, he said. Immigration doesn’t necessarily tie in to whether the labor market is tight, Denney said. But the Pew Research Center has found eating and drinking places lag only the construction industry in rankings of industries hiring the highest percentages of unauthorized immigrant workers. 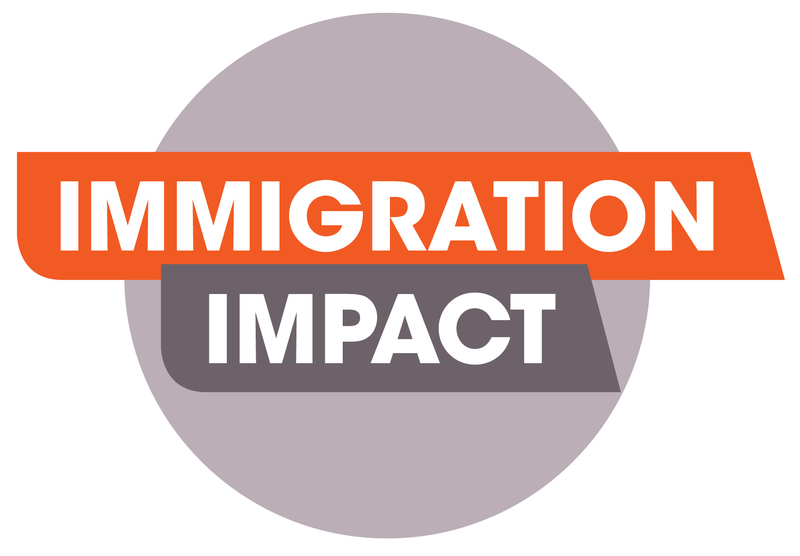 About 16 percent of all unauthorized immigrant workers are in construction, followed closely by eating and drinking places, with 14 percent of unauthorized immigrant workers. Administrative and support services came in third, at 9 percent, the Pew analysis found. The nation’s restaurants already employ nearly 2.3 million foreign-born workers, according to the U.S. Census Bureau’s 2015 American Community Survey. labor force, according to research by the National Restaurant Association. Restaurants also have a higher concentration of foreign-born workers than the overall economy, the NRA analysis of trends found. “More than 23 percent of individuals employed at restaurants are foreign-born, versus 19 percent for the overall economy,” the NRA said. And in the back of the house, percentages can go higher, with the NRA estimating that 45 percent of restaurant chefs are foreign-born. That compares to about 24 percent or restaurant managers who are foreign-born, the analysis found. As the economy inches toward full employment, employers across all industries are finding an evaporating pool of talent available to fill positions. According to data from the Bureau of Labor Statistics, end-of-month job openings in the economy averaged 5.6 million during 2016, up from 5.3 million during 2015 and the highest level since this data collection began in 2000. Jonathan Maze, Nation’s Restaurant News’ finance editor, contributed to this report.